Following up on a box office hit is much like a tricky second album, but can Bourne withstand another outing? The Bourne Supremacy follows amnesiac Jason Bourne, a trained assassin, whose new life in Goa is ripped apart by a conspiracy which makes him the target of the United States government. Bourne must return to his homeland to reveal the truth about his past and the troubling events which led to him being set up. 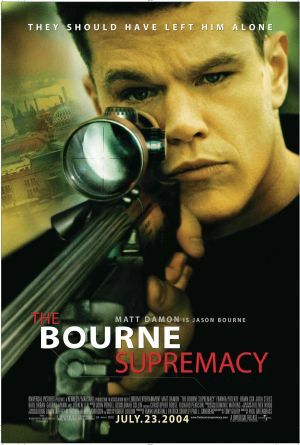 Unlike The Bourne Identity, Supremacy offers a more coherent objective for Bourne: the discovery and unravelling of Blackbrair – a top secret government program. With this comes a more interesting Bourne who finally begins to regain his memory but also interacts with other characters in a moral complexion unusual for this genre; for example his choosing to leave another assassin alive instead of killing a defenceless man. But the Bourne Supremacy doesn’t stop there. It also provides a much needed villain in the form of Ward Abbott portrayed solemnly by Brian Cox. 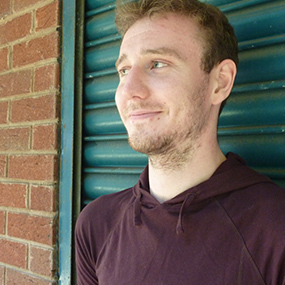 Abbott is a formidable intellectual villain as the CIA Chief but isn’t afraid to get his hands dirty as is shown with a gritty murder of a young and innocent operative. He’s also motivated by a money scandal and is an unusual opponent, especially in his prominent career. What’s more, Supremacy offers a refreshingly strong female character, Pamela Landy, played by Joan Allen. Landy is shown to walk a tightrope between a successful career and a healthy conscience but unlike so many blockbuster films she doesn’t lose her intelligent willpower. This being the case, Landy is by far the most interesting character to develop outside of the first film and strengthens the franchise moving forward. All of this results in a hugely interesting spy/thriller/action film. It is evident this is no ordinary Hollywood film; it really does push the genre and at the same time keeps those good old brain cells relatively intact. Good one, Bourne.